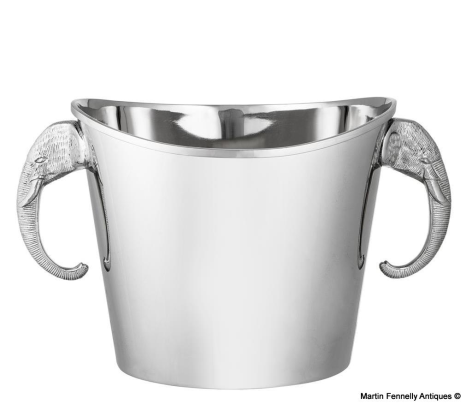 This vintage Silver Plated wine cooler with Elephant handles will make the perfect statement on your dining table. 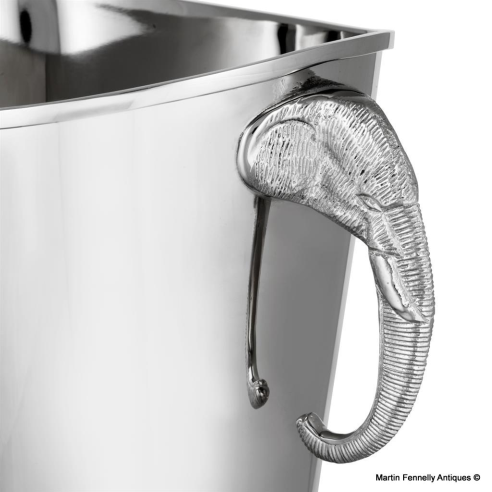 Translating as the Indian word for prince, Maharaja features a hand sculpted stainless steel construction with two intricate elephant handles and exquisite vintage brass finish. It is designed to hold up to two bottles of wine, fill with ice to create a fantastic focal point at your next stylish soiree.